Hundreds and thousands of products are being sold by sellers on multiple ecommerce marketplace channels. Pricing on marketplaces for products is dynamic and ever changing with direct impact coming from competition, stage of product life cycle and fee, charges, return rates etc. Great prices can just ensure stickiness to “Buy Button” and higher sale. But the big question is that which such dynamic factors impacting the pricing of products, is the sale profitable or leading to unforeseen losses? 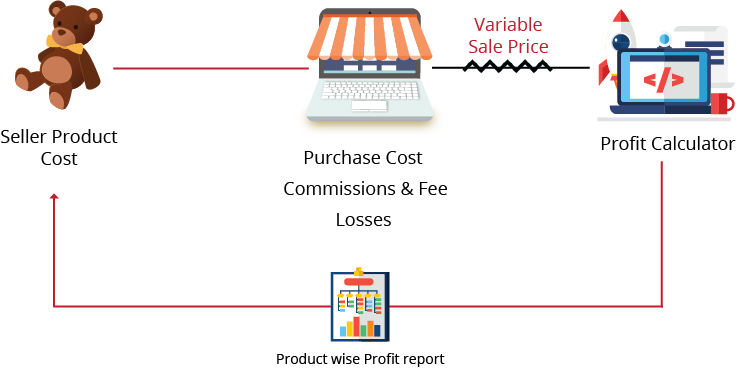 Working out on a profit and loss at product level on e-commerce marketplaces requires extremely detailed calculations on multiple data points. A manual effort may surely solve this problem, but the time consumed and the effort and cost involved may not be justified. eVanik’s product level profit calculator just eases out this time, money and effort. And brings down the exact P&L of each and every product sold on marketplace channels. 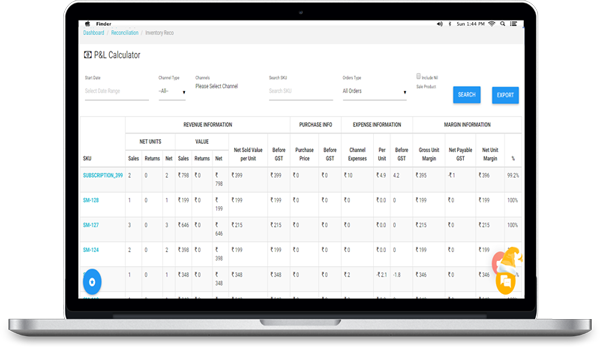 Filter down your P&L calculator on date ranges, marketplace channels, paid or unpaid orders and lots more. Reprice your products directly from the dashboard.